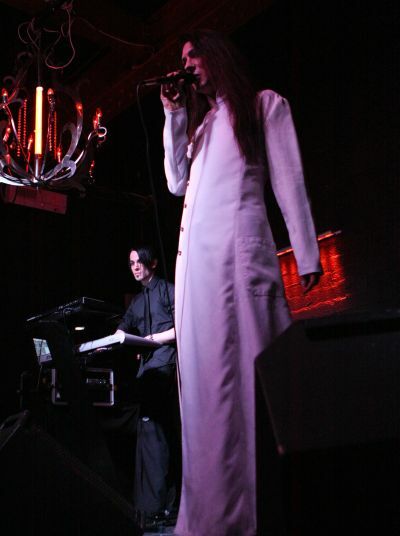 Method Cell are one of the newest bands on the UK synthpop and electro scene. Based in Nottingham, the band has seen onstage action supporting such luminaries of the UK scene as Deviant UK and Goteki, their star definitely seems in the ascent. All this, and their debut album isn’t even out yet. We managed to catch up with Alex, Method Cell‘s “knob twiddler”, uber-geek, and generally nice guy, and he agreed to give me some answers to my questions about what makes Method Cell tick. S] So Alex, are you enjoying this lovely weather we’re having? A] I am! I forgot how awesome long summer evenings are. S] The name, Method Cell. Where does it come from? A] We did what any normal band does. I programmed a PHP/MySQL based web application that allowed us to make a database of single words that we liked the sound of, then generate random pairings of words (with options for adding “of” or “with” between words) and bookmark our favourites. The meaning of Method Cell is open to interpretation. S] So, what are the influences and experiences that go into the Method Cell experiment? A] Apollos and I converge on a lot of tastes and compliment on others. We both have a love for synthpop, industrial and 80s music. Between us we pull influences from artists like Gary Numan, And One, Covenant, Depeche Mode, Icon Of Coil, The Crystal Method and Dead Or Alive. S] We notice you’re a bit of a geek. Does this influence you and translate into your music at all? A] How did you guess? I’m very much in to the technology behind electronic music – an avid kit geek. I love programming synth sounds and making sure we get the best from our studio set-up. We’re both very keen on adding fairly intricate details to the Method Cell tracks. It’s always worth spending extra time to make things sound that little extra bit interesting. S] How long have you been together now then? 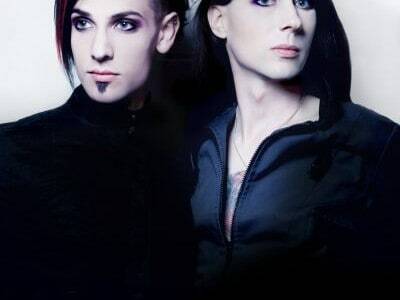 A] We decided to start a music project in 2008, chipping away to create the entity that became Method Cell. We wrote a 4-track promo EP (‘Scissors‘) which we used to launch the band in August 2009, so in short – not long! 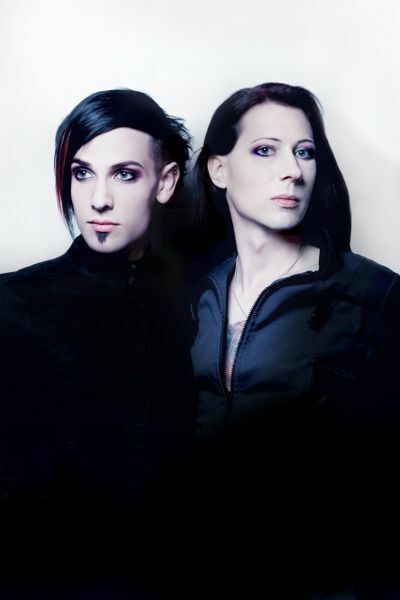 Before Method Cell, Apollos was in electro-goth band Intra-Venus and I was signed to the tech-house label Brique Rouge. S] You’ve not been doing to badly for yourselves in that time. Recently you’ve been asked to support Combichrist and Angelspit on separate occasions. How does that feel? A] We were jumping around the room when we had the offer through! To support such incredible bands, and on home turf at a great venue – couldn’t be happier! S] Considering you don’t even have your first album out yet, you must be pretty happy with what you’ve achieved so far. A] The reaction and feedback to Method Cell so far has been overwhelming! We haven’t been launched for a year yet, so to be signed, supporting Combichrist and releasing our first album on the anniversary of our launch feels incredible. The music is still evolving and being shaped – we can’t wait to see just how far we can take this. S] Any news about upcoming stuff with Method Cell you can let us know about, like when your album comes out? A] We’re due to release our debut album, ‘Curse Of A Modern Age‘ – out on Rebco on September 1, 2010. We will be celebrating its launch at Departure (Slimelight) on September 4 – really looking forward to it! Other than that we’re lining more live dates including playing with the rather dashing Deviant UK in November and the Pray Silence festival in Portugal next year. S] Who would win in a fight, a pirate or a ninja? A] It would depend on an intricate matrix of variables including footwear, sake and ale consumption. Also, economic climate and probably turgidity – but I would go with the pirate winning because of the eyeliner.